“In the beginning was the Word, and the Word was with God, and the Word was God. He was in the beginning with God; all things were made through him, and without him was not anything made that was made. In him was life, and the life was the light of men. The light shines in the darkness, and the darkness has not overcome it. As we enter a new year in our walk with Christ it is necessary that we become more observant of the “signs of the times” as Jesus would say. Not so much because we are attempting to foresee what is coming, and when, but mainly to be aware of the breakdown of our current culture and its turning away from God. The more our culture turns away from God and His Righteous principles the more we, humanity, become liable to His judgments and chastisements. And, of course, the more the need for the world to come to repentance in order to be restored to fellowship with Him, Praised be His Holy Name! The role of Christians in these times, therefore, is not to entrench ourselves in fear of what is coming, but rather to put on the armor of light so that we may not only defend ourselves against the attacks of the evil one but also so that the Lord may use us as His envoys of His Light to proclaim the Gospel of Light with an even greater anointing and power to rescue as many in the world as possible from the Tsunami of darkness that is coming over the world. For we are called to let the light divine that is in us shine forth into the darkness that the world may see the power of God working in us and through us for the Glory od His Kingdom! 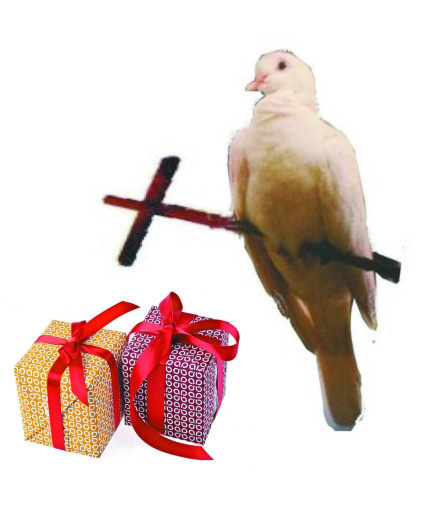 In so doing, we leave unwrapped the spiritual gifts we all, laity and clergy, have available to us, the spiritual gifts that empower all of us to bring the Word of God that enlightens – the Word that activates and brings to life the spirits of those who are embedded in the darkness of this world. We, without understanding it, or knowing it are abdicating our calling to be communicators of the “Light of the world” to the world. In a modern-day sense, we are not entirely to be blamed for such an attitude, because, in the past, the Lord did mainly use the clergy and missionaries to bring the Gospel to the entire world and while we, the laity, actively supported these outreaches, we pretty well concentrated on bringing up our children and mainlining our family life. We were complacently thinking that the front lines for defending our faith and Christian traditions was mainly in Communist China, North Korea, Africa and the Middle East. The problem is that the front lines are no longer in some distant nation but in our own families, parishes, school districts and local governments. Our own children are walking away from the Christian Faith and are being swallowed up in the spiritual darkness and immorality of the world system in which we are all embedded. Today it is easier to evangelize in skid row than in our own families. Because of the influence of their peers, and the liberal unbelieving public education system, our children place more faith in what the world says and announces than in what their parents or their churches are teaching and preaching. Today, we, the laity have lost our “saltiness”, that is, the anointing of the Holy Spirit over our lives. We have come to believe that only the clergy and consecrated, can exercise any spiritual power in living out their lives. For example, I once prayed for a man who was offended when I prayed over him for a personal problem he was having. He asked me “who do you think you are, praying like this?, You are not a priest or minister – you are just a sinner just as I am”. Yes, like Jesus, who also was a lay person, if you proclaim this, the only true Gospel, you will be rejected, you will be despised. you will be asked, “who gave you this authority?”, but if you, acting in obedience to His command will continue to carry out the “Great Commission” in faith and love just as He ordained, you also will witness to the results that follow. By your obedience to His Word you will open and use the spiritual gifts he has accorded to each one of us who walk after Him in Faith! Praised Be His Holy Name! So let it be with you, brethren, as you enter this New Year renewed in the Spirit of Christ that is in you. In conclusion I pass on a compendium of the Apostle Paul’s prayers to the Ephesian community (see below), regarding being faithful to their calling (and ours), by acting on and taking into account all the revelation, anointing and graces that we have been given through Christ our Savior and Lord for the Glory of His Kingdom. To Him and to Him alone be Glory and Honor Forever. Amen and Amen! “For this reason I bow my knees before the Father from whom every family in heaven and on earth is named, that according to the riches of his glory he may grant you to be strengthened with might through his Spirit in the inner man, and that Christ may dwell in your hearts through faith; that you, being rooted and grounded in love, may have power to comprehend with all the saints what is the breadth and length and height and depth, and to know the love of Christ which surpasses knowledge, that you may be filled with all the fullness of God. 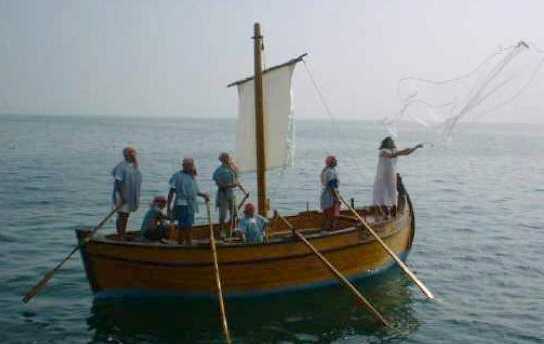 Today Jesus is asking us, his aspiring disciples-in-training: “Children, you do not have any fish, do you?”. Putting the question to ourselves in today’s vernacular: “Do you consider that, as a follower of Christ, you are being successful in reaching people for Christ and bringing them nearer to Him? And, like the disciples, your answer, like most of us aspiring disciples, is also probably “No”, or “Not many”. Now, in the incident after Jesus’ crucifixion and death cited above, Peter was still so distressed, that it took John to remind Him that it was the Lord who was hailing them from the shore. And when He realized that it was truly the Lord calling He jumped out of the boat in response to His call. John, realized it was the Lord because he remembered that when they first met Jesus on the shores of the Sea of Galilee, he also told Peter, after a day of fruitless fishing, to do out to the deep and cast their nets on the other side and the net were so full of fish they could not draw them into the boat (Luke 5:4-11). When reminded by John, Peter came out of his depression and swam to shore to be with Jesus, whom he had denied, which is what was probably augmenting his state of depression. So also for us today, we, who are attempting to serve the Lord with the intent of being His disciples, sometimes feel somewhat depressed when our wholehearted efforts are not producing results for His Kingdom and we don’t seem to understand why. While in this state we also, like Peter, may not be listening to Jesus’ call and need to be nudged into hearing His call – His call, telling us to “fish on the other side of our boat”. “Our boat” being our basic human nature. Yes, there are two sides to our human nature, our soulish, fleshly, self-centered side and our spiritual or God-centered side. Before we are born of the Spirit, as mentioned in Chapter 3 of John’s Gospel, the only side we are aware of is our soulish or fleshly side. For, as Jesus tells Nicodemus (Jn.3), unless one is born again (spiritually revived), one cannot be sensitive to the Spirit of God. And I might add, from my own experience, even if you are born again, if you are not walking in the spirit, you will automatically revert back to the fleshly side of yourself. For those of us in this state, the story cited gives a lesson that, because, when we are in service to the Lord, we always need be walking in the Spirit or be part of a discipleship team that will nudge us back to the Spirit side when we find ourselves drifting back to the fleshly side of our human boat. When we attempt to serve the Lord from our fleshly side you may be sure that your efforts will not produce lasting spiritual results, no matter how well motivated you are. The Lord has told us that … “without Me you can do nothing [of spiritual value]” (John 15:5). Yes our self-willed service may produce earthly results that lift up our ego, but we cannot reach men’s hearts without the anointing of His Holy Spirit. For this reason, as we begin our walk in discipleship, it is extremely important that we not only accept Christ as our Lord and Savior but also be Baptized in the Holy Spirit so that, through the Spirit and personal prayer we may learn to be fully sensitive to the leadings of the Holy Spirit and thus permit Jesus to work in us and through us as we minister in His Name. In fact, that is what it means to minister “in His Name”! All too often we get so carried away by the drive to “do something for God” on our own human initiative that we forget what the Lord wants is for us to yield ourselves to Him and be empowered by His Spirit so that He can work in us and through us, even in our moments of weakness, to bring forth His Purposes from our efforts. That is what is meant by learning to “cast our nets on the other side”. He wants us to be His partners in bringing forth His Kingdom, while we in our human pride, mainly want to provide our services for the exaltation of our own egos rather than for His Glory. The problem we, as lay disciples, have is that the Christian churches, as they are structured today, tend to ignore the need to train or make lay disciples at the spiritual depth needed for us to really function as disciples. It is my belief that the reason for this is that our modern Christian culture has downplayed the role of lay discipleship. The main emphasis for training has been placed on the education and training of clergy to minister and lead our churches and to send as missionaries to the world. Discipleship for the laity, if taught at all, is merely taught as an extension of the stewardship responsibilities and methods for “spiritualizing” our service to the community. Yes, we lay people are taught about accountability to one another, and to live moral lives in accord with scripture and tradition but there is little training on spiritual discernment and how to totally yoke ourselves to Jesus so that we may faithfully follow Him in every situation in our lives. We also are lacking teaching on how to hear His Voice in our inner man, and how to sense and follow the leadings of the Spirit so that we can truly be obedient to the callings of God on our lives so that we may truly be His partners in bringing forth His Kingdom in this World. In entering a path of discipleship, we the laity, need to follow the leadings of the Holy Spirit in order to move forward in our spiritual growth. We need to do this even if our churches and parishes are not providing instruction at the depth of spirituality needed to be continuously in touch with the Spirit of God whose guidance we need in order to function as a disciple. It is my belief the primary reason the formation of intentional lay disciples is not usually supported at most parishes/churches is the lack of resources and trained personnel to get these programs started (see my addendum on such resources). However, once a lay discipleship program is started it can usually sustain itself – for that is part of the discipleship mission. Another factor, in this lack of discipleship formation amongst the laity in some communities, may be due to the structure of our modern Christian culture, which has created an imagined division between clergy and laity that blandly assumes that a deep spiritual intimacy with the Godhead is beyond the capacity or need of the un-ordained, thus, unwittingly relegating us, laity, to some kind of second-class citizenship in the Kingdom of God. Paul, in His letters to the Corinthians asks the question, “Can the Body of Christ be divided? Yet, today, we are not only divided into denominations but also into the false distinctions between religious professionals (clergy) and laity. We need to understand that, although we all have distinct roles within the Body, we are all attached to one another and to the Head of the Body Jesus Christ, our Lord and Master. We, each of us, has received through our conversion and Baptism, the same capacity to interact with the Head as any other part of the Body. And, with the Baptism in the Spirit we are all given the spiritual gifts needed for us individually and in groups to contribute to the building up of the Body of Christ in this world. Without the empowerment gifts (charisms) promised by the Father and provided to all the believers at Pentecost, we cannot fulfill the Great Commission (Matt. 28:18-20) to make disciples until, we, like the apostles, are empowered to be His witnesses, wherever we are throughout the world (Acts 1:4-8). In addition, our current modern intellectually-based Christian culture impedes the laity from truly being formed as deeply spiritual disciples because of its emphasis that all our thoughts and actions be solely based on our “natural” capabilities and with disregard to anything involving the “supernatural”, that is, anything beyond our ability to experience with our senses or rationally contemplate with our minds. This places a constraint on believers such that we look askance at anything in the practice of our “Faith” that is beyond our “normal” human traits and abilities. For that reason many churches avoid attempting to teach on the empowering spiritual gifts (cf.,1Cor. 12) or charisms received by believers at Pentecost and beyond. Spiritual Gifts, which go well beyond our “natural” capabilities and involve a direct interaction with the Persons of the Godhead. Because of these attitudes, it also becomes difficult for the teachers in our Christian culture to teach on how the Holy Spirit communicates with us since the a majority of the culture does not recognize that we have been created with a “spirit” component as well as with a “soul” and “body”. Our “spirit” component being the channel by which we may interact with the Divine, not only to receive direction but also to receive the power of the Divine in our very selves to be used for His Glory. Now, since, it is difficult to deny that there are and have been persons who have exhibited such supernatural traits, it was only natural that the culture, again, creates a separation that “defines” such people as “mystics”, who have been given such traits because of their “holiness”, so that it is made clear that such traits are out of the scope of normal and should not be sought by the “unholy” laity. Since we are all embedded in such a culture it is not difficult to understand why the reception of the “empowerment gifts” (cf. 1 Cor. 12)) is not promulgated or celebrated on the feast of Pentecost and why formation of lay intentional disciples, who require training in the use of these gifts in order to be fully effective, is something that our churches are not very anxious to take up. As a result, we laity must also realize that we also have contributed to our own disenfranchisement by accepting and taking a passive role in acceding to our cultural impediments and not seeking the empowerment of the Holy Spirit and the spiritual charisms to which we are entitled, regardless of our ordained status or lack thereof. Once we begin to understand the Word of God that promises all believers the empowerment to be His witnesses and we yield ourselves to the Holy Spirit (Acts 2:38-39), then, and only then, will He begin to work in us to realize the true discipleship potential of every believer by fully conforming us to the image of Christ so that we can begin to truly be of service to the Father for the building up of His Kingdom. Praised be His Holy Name! So, if you hear the Spirit calling you to follow Jesus as an intentional disciple, do not hesitate, commit yourself to Jesus right where you are and, in prayer, ask Him to lead you along the narrow path. Pray that the Holy Spirit inspire the Word of God so that it will enter your heart and open its meaning and its truth to your spirit. Do not let any of your circumstances or other persons prevent you. He is Knocking at the Door, open the door to your heart and let Him In to sup with you. If you do this He will begin to work in your circumstances and your relationships so that you can begin your discipleship right then and there. He will lead you and instruct you step by step and if you stumble he will pick you up and take you to the next step. Place yourself entirely in His Hands; He will mold you and take you to where He wants you, where you will partner with Him in bringing forth is Kingdom,. He is, after all not only your Teacher, but also your Master, your Shepherd, your Savior, Your King and your God … and, above all, your Friend! Praised be His Holy Name! Initially, when we set out on our own private formation as intentional disciples, we may be loners, who in attempting to use our gifts in a community that has not yet experienced the power of the Spirit, will experience some form of rejection or distancing from the community – a rejection that may seem at first painful – but a rejection that, because we are acting in obedience to Jesus’ calling in our lives, our efforts will eventually be redeemed and bring forth fruit for the Glory of His Name!. Blessed be the Name! Of course, I would hope we all have come to a personal encounter with Jesus, but how many of us have yet to encounter the person of the Holy Spirit and received His empowering charisms, without which we literally cannot fully function as God’s emissaries to our families, to our community, and to the world? And, even more important, how many of us have entered into the deep, intimate prayer relationship with the Father, that we need to really worship Him in Spirit and in Truth? In order to be true disciples of the Lord and walk in the spirit it essential that learn how to release the Holy Spiirt in us so that we may truly operate at these levels of intimacy with Our Shepherd and His Father. Always keep in mind that a large part of our problems as laity stem from the fact that, to some degree or other, we are all afraid of yielding to the Holy Spirit in our lives. A basically misplaced fear, that emanates from the fact that most of our churches do not place a high priority on teaching us about interacting with the person of the Holy Spirit, His desire to fill us with His Love, the Empowerment Gifts He provides to work through us, His gentle approach to working with us, and, how through our cooperation with His Grace we can bring His Blessings to the entire Body. In saying all this, I am not trying to place blame on our church leaders because I understand that they are in the same “human” boat as we are, and, that since many of them, though devoted to Christ, have not yet experienced the person and power of the Holy Spirit in their own lives, we should, therefore, not expect them to be able to teach us about the leading of the Spirit and the charisms. Instead, as part of our discipleship, we need to lift them and our churches in prayer to God for an all-encompassing spiritual revival among us all, and, at the same time, turn to our Head Shepherd, the Lord Jesus, to lead us and guide us until such a time as our churches catch up to where the Spirit is leading all those of us who have opened their hearts to “cast our nets on the other side” of our human boats. In closing, let me conclude with this exhortation by our fellow pilgrim, St. Paul, regarding walking on “the other side”, that is, in the Spirit! 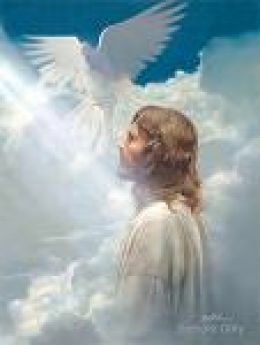 May the Holy Spirit guide you in all that you do to bring forth the Kingdom for the Glory of the Father. “The Catherine of Siena Institute (CSI) is an affiliated ministry of the Western Dominican Province dedicated to equipping parishes for the evangelization and formation of lay Catholics for the sake of their mission to the world. The Institute provides innovative resources and programming that are faithful to the teaching of the Church and will enable parishes to become lively and dynamic centers of evangelization and formation. Since our founding in 1997, we have worked with over 65,000 lay, religious, and ordained Catholics in hundreds of parishes in 100 (arch)dioceses on 5 continents. “CDM is deeply committed to serving local churches and communities in the venture of spiritual transformation. To this end, we help churches develop three intentional environments: 1) intimacy with God, 2) community environments of grace and truth, and 3) living and ministering among those distant from God. We have organized our key resources into the Intentional Disciple-making Church Process to facilitate the development of these three environments. “We have over 100 staff ministering in strategic locations in the United States and internationally with the skills and knowledge to help coach you and your church or group in the process of intentional disciplemaking. This includes reaching those without Christ, helping believers grow in spiritual maturity, and helping develop missional leaders. We invite you to investigate the Intentional Disciplemaking Church Process and the proven tools and materials we have developed in helping churches advance the Gospel of Jesus and His Kingdom. Discipleship is a process of growth. It is a lifelong pursuit of following Christ. Many churches want to make disciples but don’t have the empowering environment or the resources. CDM has identified nine components that are essential for discipleship to take place in successive generations.We invite you to utilize our tools and resources as your church pursues intentional disciplemaking.Our resources may be utilized individually, or experienced in a comprehensive process which is tailored to the distinctives of your church. Continuing from where Part 1 left off, we remind all believers that…. We are the future generations that were indicated and thus the “Promise of the Father”, as manifested in the nine Empowering Gifts of the Spirit (cf., 1Cor.12 ff), is clearly meant for us today, as baptized Christians, as much as it was for the original believers at Pentecost! The question I ask all baptized believer’s today who have not yet experienced the Baptism of the Spirit, which is the manifestation of the Promise of the Father, is: Why Not? In my case, the answer is, “I did not even know what the Promise of the Father was and especially that it was manifested as the “Baptism in the Spirit” on the day of Pentecost. As a baptized Catholic Christian, I went through the usual rite of initiation. As a child, I was baptized shortly after birth and then taught about baptism when I entered elementary school. I went to catholic schools through high school and then spent my first two years of advanced education at a Jesuit University. In all that time I was never taught about the Baptism of the Spirit and the Spiritual Gifts as being something we Christians were entitled to receive in today’s world. The teaching I received for Confirmation (at age 13 years) basically brought me to the understanding of the basic doctrines of our faith in Christ as the Son Of God, the redeemer and savior of the world, so that I could reinstate for myself the vows my parents had made for me at baptism. In my further instruction for the reception of the sacrament I was taught the primary doctrines of the catechism, especially that, at confirmation we are strengthened through the reception of the Seven Gift of the Holy Spirit (cf.,Is. 11) so that, through help of the Holy Spirit in me, I can live a full and holy Christian Life. Even though I studied the Acts of the Apostles and the birth of the Church at Pentecost, I was NEVER taught that the Nine Spiritual Gifts (cf., 1 cor.12) that the disciples received on that day were for me and for every Christian today. I did not know that these gifts were available and, in fact, needed by me, and very other Christian, to empower us to proclaim the Good News of the Gospel with signs following. The only thing I remember was that that we were taught to pray for a renewal of the Seven Gifts (the gifts stated in Is. 11) at every celebration of the Day of Pentecost. As a faithful and compliant adult Catholic I was never taught that every Christian needs the Holy Spirit in order to truly encounter God in “Spirit and in Truth”. Yes we were taught that there were special people who had encounters with Our Lord and some very spiritual gifts but that was because they were chosen by God to be “Saints”. Of course, since I was well aware that I, and every one I new was not a “Saint”, I could never expect God to choose me to experience the Holy Spirit and His Gifts. 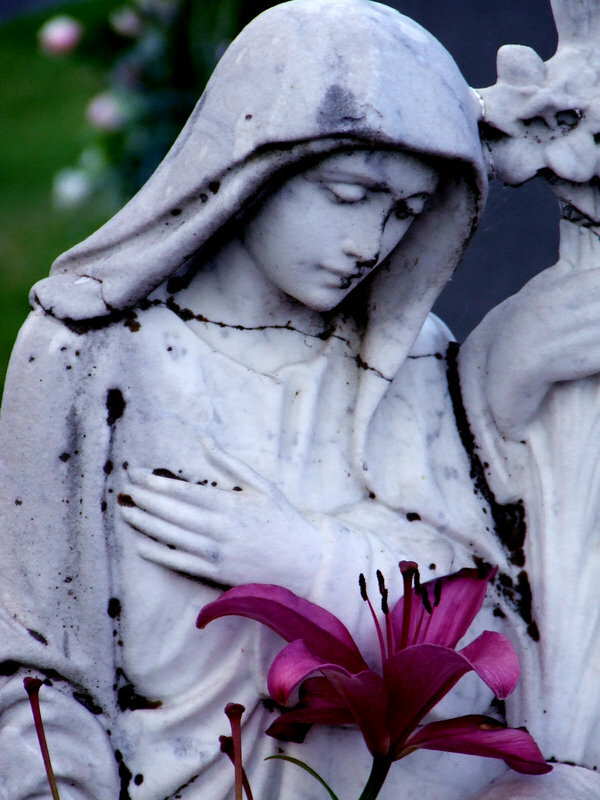 After all, according to what I was taught, the most we lay persons could aspire to was to get into Purgatory. How wrong and misguided I was! And how miraculous was God’s working in my life through His Word to rip off the veil of religious darkness that enveloped me and opened my eyes to the Word of Truth and the Light of the Fullness of His Salvation. Through a series of events that I cannot go through in this article (cf.,Recommended Links, below), the Lord opened the eyes of my spirit (yes, I found out that I had a spirit) so that I could encounter Christ in the spirit and receive the fullness of my inheritance in Him, the Baptism of the Holy Spirit – an encounter that changed my life forever. Truly it was an encounter that permits me to say today that … “once I was blind but now I see”. That, my brothers and sisters, is the reason I took on the persona of “Bartimaeus” in initiating this web-log, to tell everyone that The Promise of the Father is For Real! If you are a converted and baptized Christian, all you have to do is ASK! In order that you too, through the Word of God, inspired by His Spirit, may also come to receive the Promise, I now append the second part of the booklet I have been sharing with you and which I believe will remove some of the barriers that may be keeping you from the fullness of our inheritance in Christ. Now here is where we moderns encounter a bit of confusion. It is commonly understood by most Christians that we receive the Holy Spirit when we are baptized with water. So when Peter says “… you will receive the Holy Spirit” isn’t he referring to water baptism? Why then do some people claim that this refers to another reception of the Holy Spirit? In responding to these questions it should be pointed out that the scriptures and church tradition clearly indicate that the Holy Spirit is received in the two main impartations of grace involved in Christian initiation. A third impartation usually associated with the initiation of adults into the body of Christ is the Eucharist. The first impartation of grace occurs when a person hears the Gospel, is converted, repents and submits to be baptized into Christ by immersion in water. In Church tradition and scripture, this impartation was, historically, sometimes referred to as the “Enlightenment” or “Illumination” where the initiate receives the life of Christ to enlighten or bring new life to his/her soul. The second impartation occurs when the baptized person is anointed or empowered in the Holy Spirit to be a witness to Christ in the building up of His church. This impartation is sometimes referred to as the “Empowerment” or “Strengthening”. Jesus modeled the first two impartations when first he submitted himself to be baptized in water by John the Baptist and then was empowered or anointed for ministry by the Holy Spirit immediately after baptism with water. It is, by its nature, assumed to be a completion of baptism. Similarly for us, through baptism and confirmation, we receive the Holy Spirit in both of these impartations with the correspondingly distinct modalities of operation of “enlightenment” and “empowerment”, both of which are direct manifestations of the Holy Spirit in us. In one we are “baptized into Christ” (Gal.3:27) by the Holy Spirit and in the second we receive the empowerment of the Spirit to carry out the ministry of Christ in our community and the world (Acts 1:8). At this point, our discussion brings up another question. If the fullness of the deity dwelt in Jesus why would He need to “receive” or be “anointed” by the Holy Spirit after He was baptized with water by John the Baptist? According to prophetic scripture the anointing of the Spirit was a necessary attribute for the Ministry of the Messiah. 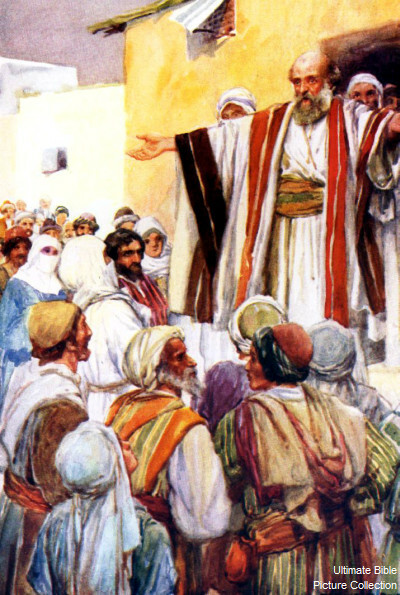 It was this prophesy that Jesus read at the synagogue at the beginning of His Ministry when He said to the congregation, : “The Spirit of the Lord is on me, because he has anointed me to preach good news to the poor. He has sent me to proclaim freedom for the prisoners and recovery of sight for the blind, to release the oppressed, to proclaim the year of the Lord’s favor.”. (Luke 4: 18-19). From these and other such scriptures we understand that the Messiah was to receive the Holy Spirit in order to empower Him to fulfill His ministry as Messiah (CCC 1286-1289). It was this anointing that Jesus received immediately after His water baptism by John and which was symbolized by a dove coming to rest on Him (John 1:32). It was through this anointing that Jesus performed the works of power and healing indicating that the reign of God was amongst men demonstrating the Father’s compassion and love. What may still not be clear is why would Jesus, who is God incarnate, need to be empowered to do anything? To begin with, we understand from scripture that when the Son of God took on human form, He relinquished the use of His divine prerogatives, that is, He emptied himself, so that in His saving work of atonement He could legitimately act as a substitute for mankind as a “second Adam”. Thus, as a pure and sinless human being He would submit himself completely to the will of the Father, even to His substitutionary death on the cross on behalf of all mankind, In order to accept this role as a stand-in for all humanity, Although sinless, He first had to identify with us in our fallen nature and submit to God’s judgment on the sin inherent to our nature. This Jesus accomplished when he submitted Himself to water baptism at the hand of John the Baptist. Secondly, since He had emptied Himself (from the Greek: kenosis) of His divine prerogatives, He could only act in the Father’s behalf to open the doors to the Kingdom if he was empowered by God as a human being to fulfill God’s purposes and will. That is, He needed to be anointed by the Holy Spirit so that God, the Eternal Father, could manifest Himself through the person of Jesus. That is why Jesus, As Messiah, needed the Spirit Anointing, and why it could only happen after He accepted His role as Messiah and as a substitute for the humanity He was destined to save. Thirdly, since His was to be an eternal throne or empowerment that could not be removed, He had to impart the Holy Spirit Anointing to His church (his Body) so that His ministry would continue unimpeded through His body, the church, through all time. That is why he told His disciples to go to Jerusalem to await the Promise of the Father so that they might be also be empowered with power from on high (Luke 24:49). Thus, when Jesus told Nicodemus that one must be born of water and the Spirit in order to enter the Kingdom He was merely indicating to Nicodemus that in order to be a true and effective disciple and participate in His ministry, which He sometimes termed as “The Kingdom of Heaven”, one must be baptized with water, as he was, and one must also be baptized (or anointed) with the Holy Spirit, as he was. While He was still on earth, He and His disciples operated under this personal anointing that was on Him. In meeting with them prior to His passion and death He told them that after He went away they and those who believed through them would continue working under the anointing “ … I tell you the truth, anyone who has faith in me will do what I have been doing. He will do even greater things than these, because I am going to the Father” (John 14:12). And that they would be able to do this because, “… it is for your good that I am going away. Unless I go away, the Counselor (the Holy Spirit) will not come to you; but if I go, I will send him to you.” (John 16:7). In this way, by imparting the Spirit Anointing to the disciples and to those who became believers through them, Jesus, the Messiah would continue His Ministry through His church here on earth. Thus we see why believers need to “receive” the anointing of the Holy Spirit after their water baptism in order to effectively fulfill their God-given roles in life. Thus when Peter exhorted the crowd at Pentecost to be baptized in Jesus’ name and then “receive the gift of the Holy Spirit”  he was using the word as to the reception of the Holy Spirit Anointing in the same way as we have stated before that, Jesus “received” the Holy Spirit as an anointing to empower Him to act in the name of the Father. The Holy Spirit already indwelt in Him so the word “receive” did not mean an inward reception but more of an outward reception of an anointing that was placed “on” Him to empower His Ministry. This is borne out by other usages in scripture of the word “on” when referring to a receipt of the Holy Spirit Anointing, or empowerment. Similarly, at Pentecost, the converts who were first baptized in water received the Spirit of Christ “inwardly” to bring them eternal life in Christ Jesus. But now they needed the outward anointing of the Holy Spirit “on” them so that Jesus could continue His ministry to the community and to the world through them. Regarding the inward anointing of the Holy Spirit, remember that, before His passion and death, Jesus told his disciples: “And I will ask the Father, and he will give you another Counselor to be with you forever — the Spirit of truth. The world cannot accept him, because it neither sees him nor knows him. But you know him, for he lives with you and will be in you.“ (John14:16-17). Thus referring to the inward grace received at water baptism when the spirit of Christ comes to dwell in us. It is this grace, which enlightens and sanctifies us, that is, sets us apart from the world to bring us into conformity with Christ. This sanctifying grace is distinct from the outward grace which St. Thomas Aquinas terms “free (or gratuitous) grace” in his Summa Theologica. The outward grace, or the empowering of a believer through the Anointing of the Holy Spirit, sometimes called the “Baptism in the Holy Spirit”, corresponds to the grace defined by Aquinas as “free (or gratuitous)” grace, that is meant, not for the person who is a channel of that grace, but for the community and the world, as the empowerment by the Holy Spirit, required by the person receiving it to fulfill his or her calling as a participant in Christ’s ministry here on earth. It is of this latter type grace that Paul refers to in his letter to the Corinthians, when he says, “Now to each one the manifestation of the Spirit is given for the common good”, that is, for the benefit of the community. This clearly indicates why the “empowerment” gifts are classified as the “free grace” defined by Aquinas. Early church tradition regarding the Christian initiation rites rightly maintained both these impartations of grace: “enlightenment” and “empowerment”. Before child baptism was the norm and when the Christian communities were small and locally organized, adults who believed the Gospel and converted, usually received both forms of these impartations at the same ceremony (rite of initiation). Although baptism could be conferred by a deacon or elder, the Anointing of the Holy Spirit, or empowerment, could only be conferred by a Bishop or overseer. Later when child baptism became the norm, and the Christian communities larger and more dispersed, the impartation of the two forms of grace were separated, sometimes not only for cultural and logistical reasons, but so that the children receiving the Spirit Anointing (called Chrismation in the Eastern Churches) would have reached the age of reason so that they could, after adequate catechesis (teaching), be able to “confirm” the baptismal promises made in proxy for them by their parents. This “confirmation” was essential because, by tradition, the Spirit Anointing could not be conferred except to those whose had heard and understood the proclamation of the Gospel and thus willingly and freely converted and accepted to be baptized. Another understanding of the term “confirmation” is that the Greek word from which the term is derived is that it also means “strengthening”. And, of course, this is another indication of the “empowerment” which we all need to proclaim the Gospel and manifest the Ministry of Christ through the nine empowerment Gifts of the Spirit. The “Confirmation” ceremony, then, became an amalgam of the formal public announcement of a person’s own personal decision to renounce evil and accept Christ (conversion) followed by the concomitant empowering Anointing with the Holy Spirit. Through the haze of history, the special graces (the charisms) received at rite of the Spirit Anointing (Chrismation) were deemphasized and the spiritual gifts indicated as received were more related to the rite of water baptism and the Christ-presence in the believer. This is why, today, the “gifts of the Spirit” currently indicated at Confirmation really correspond to the spiritual gifts attributed to the Messiah in Isaiah Chapter 11 rather than the “empowerment” gifts experienced by the 120 disciples and the 3000 believers at Pentecost as indicated in the Book of Acts, and Paul’s epistles. Of course, if you have been baptized in water and confirmed, you have access to all the promised gifts. The only reason we fail to manifest all of them is that we can only exercise faith in the promises of God when we are taught those promises and expect them to happen (in faith). If we are only taught a select portion of those promises we cannot exercise the faith we need to manifest those other gifts because we don’t even know they are available to us. Today, the Holy Spirit is at work amongst us, lifting the haze of history and revealing, supernaturally, through the Word of God, our access to these gifts (charisms) in order to renew and empower the church for a final work of evangelization before the return of the Messiah. The charismatic renewal is not the work of any person or movement but rather the sovereign work of the Holy Spirit in and through the church so that the Kingdom of God will be proclaimed to the whole world before His coming as well as to foster the purification of His Bride through the sanctifying gifts. This work of world evangelization, which is to precede the second coming of Messiah, has already begun. This wave of renewal has been in evidence since the beginning of the Twentieth Century, and is attested to by the hundreds of millions of persons that have been evangelized worldwide. The extent of this evangelization in the course of a century exceeding even that of the rate of growth the primitive church when the apostles were leading the proclamation of the Gospel, thus confirming Jesus’ prophecy that “anyone who has faith in me … will do greater works than these because I am going to the Father” (John 14:12). We pray brethren, that through this brief exposure to the intent of the Father in endowing us with the Gifts of the Spirit, both for our inward spiritual formation and our empowerment as channels of His Grace, that you would seek His will in your lives and yield yourselves to His Spirit so that He may fully use you in bringing forth His Kingdom in this world. For His is the Kingdom and the Power, and the Glory Forever and Ever. AMEN! Understanding the Promise of the Father ©2008 by Jorge Alfonso Madrid Sr.
Just recently we celebrated Pentecost Sunday, the birthday of the Church, that is, the day when those who first believed in Christ came together as an anointed community to form the Body of Christ, empowered by the Holy Spirit to act as His witnesses to the world. Today, we continue in community through the anointing that is imparted to us through the sacraments of baptism and confirmation bringing us to life in Christ so that we, His Body, may continue to be His witnesses to the world until He comes to reign as King of Kings and Lord of lords. 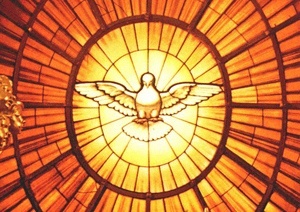 However, for some of us, our celebration of Pentecost tends to be that of half-hearted traditional routines that honors the tradition and spirit of the historical event of Pentecost but not a celebration of something that should be an integral part of our lives in that it is something we have personally experienced – that is, the personal outpouring of the Holy Spirit in our own lives. 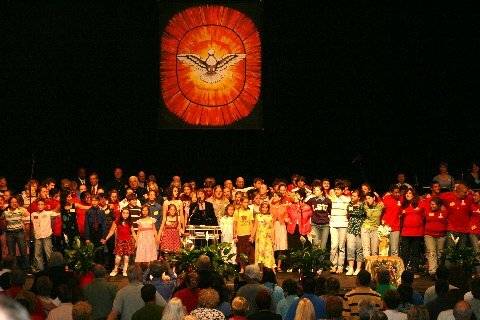 It is in this sense that the “fullness” of Pentecost has not yet “fully come” for many of us today. Yes, we all, in faith, have come to a new birth in Christ and have received the Holy Spirit in the inward man”, but for many of us Pentecost remains merely a historic event because we have not fully come to a realization of what that “fullness” really means. We have not fully yielded ourselves to the Holy Spirit and His Gifts so that He may truly take His place in our lives and thus have not released Him to complete the work in us for which He was sent, that is, to bring us into full conformity to the image of Christ – both through an inward transformation and an outward empowerment to preach and live the Gospel with His power working in us and through us. Instead we have taken our consecration as merely being a signal for us to use our own self-willed energies to attempt to please God with our own works and ambitions. Yes, we are taught and believe that we are recipients of the seven sanctifying gifts that the Spirit of God uses to form the Character of Christ in us. We likewise expect the fruit of the Spirit to be manifest in our lives through the indwelling Spirit of Love that has been poured in us by the Holy Spirit. But, in many of our lives the fruit of the Spirit is unable to come to maturity, mainly because, through ignorance and the gut-wrenching circumstances of our daily lives, our thinking and our behavior is being conformed to the world rather than to Christ. This conformance includes an attitude of pride and self-sufficiency that thinks we can do everything on our own, not understanding that the desire of the Father is that He wants to work through us and in us by the Spirit of His Grace which he so generously places in us. This attitude of conformance to the world also looks to the world for acceptance rather than to the Gracious God who created us. You can sense this even in how we moderns define the graces received at Pentecost. Note that only the “socially acceptable” gifts of the Spirit (cf., Is. 11, Gal. 6;22) are mentioned in our churches. Whereas, the nine foundational or empowerment Gifts of the Spirit (cf.,1 Cor. 12) which were referred to by Jesus as the “Promise of the Father” and which were actually the gifts manifested at Pentecost, are hardly ever mentioned in polite religious society. Why do you think this is? I suspect that the main reason is that we don’t want to look or be different from the world. We want to be accepted in the world and so we compromise the Word of God to match the world’s expectations. This attitude weakens our faith and without faith we cannot please God – thereby hindering us from activating the actual release of the Holy Spirit into our lives and into the lives of those around us. In this post it is my desire to discuss three of the most common problems (aside from plain ignorance) facing us Christians in exercising the spiritual gifts in the modern world – problems that hinder us in realizing the fullness of the Spirit in our lives. These three problems being: 1) grieving the Spirit, 2) quenching the Spirit, and 3) unbelief or “hardening of our hearts”. It is my hope that by bringing the awareness of these problems to the surface we may take action to repent and ask the Holy Spirit to renew us and restore us to the place in our walk with Christ so that we may truly be fruitful workers in the Kingdom of God! Praised be His Holy Name! The Holy Spirit is “grieved” or “saddened” when we turn aside from His leadings in our lives and we instead begin to form attachment to the world and its lifestyles. He is grieved with us just as Jesus was grieved over Jerusalem because their unwillingness to receive Him at the time of His visitation (Matt. 23:37-39). Let us then not grieve the Spirit by distancing ourselves from the world and welcoming Him and His Gifts into our lives. “Now this I affirm and insist on in the Lord: you must no longer live as the Gentiles live, in the futility of their minds. They are darkened in their understanding, alienated from the life of God because of their ignorance and hardness of heart. They have lost all sensitivity and have abandoned themselves to licentiousness, greedy to practice every kind of impurity. That is not the way you learned Christ! For surely you have heard about him and were taught in him, as truth is in Jesus. You were taught to put away your former way of life, your old self, corrupt and deluded by its lusts, and to be renewed in the spirit of your minds, and to clothe yourselves with the new self, created according to the likeness of God in true righteousness and holiness. So then, putting away falsehood, let all of us speak the truth to our neighbors, for we are members of one another. Be angry but do not sin; do not let the sun go down on your anger, and do not make room for the devil. Thieves must give up stealing; rather let them labor and work honestly with their own hands, so as to have something to share with the needy. Let no evil talk come out of your mouths, but only what is useful for building up, as there is need, so that your words may give grace to those who hear. 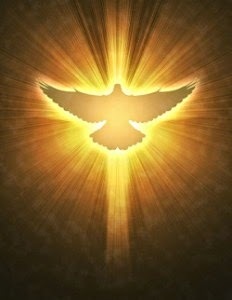 And do not grieve the Holy Spirit of God, with which you were marked with a seal for the day of redemption. You may be sure my brethren that, because God is Love, He, in His compassion for us, will lovingly intervene in our lives to confront us with our sin in this regard, because it is a sin. Indeed, a sin that Paul refers to as “grieving the Spirit of God”. A sin that usually leads to another sin, that of “Quenching of the Holy Spirit”. 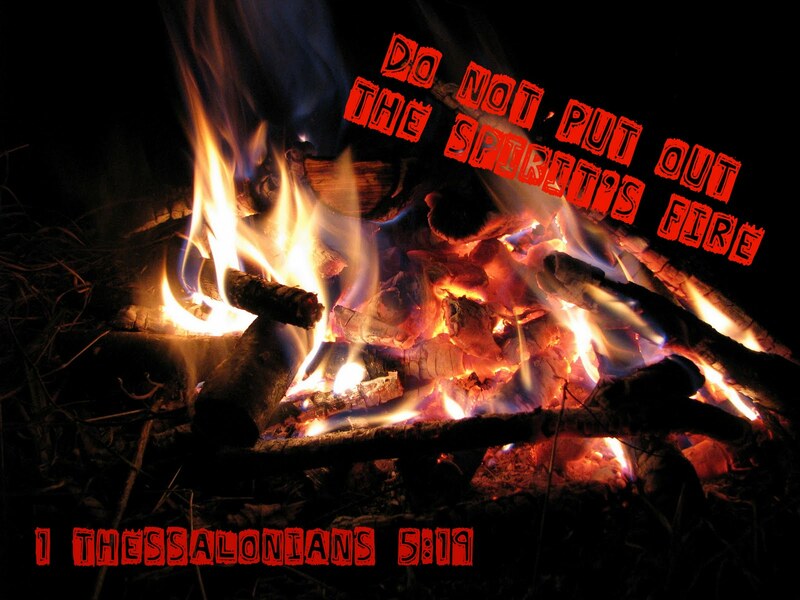 Scripture commands us not to “quench the Spirit” (1 Thessalonians 5:19). To “quench” is to extinguish something, like throwing water on a campfire as you are preparing to break camp. The sin of quenching the Holy Spirit is when God’s Spirit is prompting us to say or do a certain thing and we refuse. Quenching the Spirit could also be failing to discover and use the gifts that God has given us. The reason this is important is because we are ignoring or not using the charismatic gifts mentioned by St. Paul in his first epistle to the Corinthians (cf.,1 Cor. 12). It is through these nine foundational or empowerment gifts that the members of the church are empowered to carry out the church’s ministry of taking the Good News to the world, making disciples, and manifesting the power of Father’s Kingdom to the world. The Sanctifying Gifts (cf., Is.11) permit the Spirit to bring us in conformity to the character and spirit of Christ but it is the endowment with the charismatic gifts, however, that permits us to share in the empowerment of the Holy Spirit that was on Christ so that His ministry of manifesting or enforcing the Kingdom of God in this world may continue through us, His Body! Because this ministry dethrones the power of the Evil One and the dominance he holds over the world and fallen humanity, he will do everything in his power to extinguish the Holy Fire of the Holy Spirit that has been placed in us, the Body of Christ. He does this on three main battle-fronts: the world, the flesh, and the devil. We have already spoken of how the world conforms us to its thinking and behavior. This conformity to the world also acts in us to extinguish the fire or leadings of the Holy Spirit in carrying out His purposes for us in this world. Thus, you should not be surprised that the world will not accept you if you deviate from what it expects and demands of you. This, of course, includes the “politically correct” suppression of the spiritual gifts that have been distributed to us by the Holy Spirit to accomplish His purposes in us and through us. In attempting to hinder us, the Ruler of this world takes advantage of our fallacious human reasoning, our weaknesses and our lustful desires (the flesh) so that we might succumb to the lures and demands of this world. And, to our dismay, he sometimes even uses the voice of misguided religious authority to attempt to shut the door to our exercise of the gifts by telling us that they are not needed today or that they (ironically enough) are of the “devil”. The devil also tempts us by presenting us with counterfeit “gifts” that are really witchcraft under his control rather than from God. He also hinders the use of the actual gifts by presenting skepticism or doubts as to our worthiness or the appropriateness of our exercise of the gifts. In this citation Paul makes it clear that the condition he terms “hardness of the heart” (the term “blindness” is used in some translations) alienates us from the life of God. 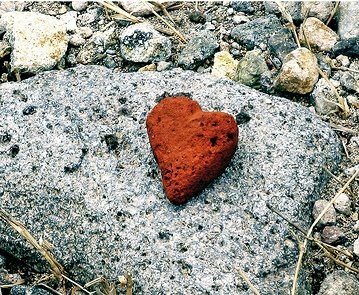 This alienation comes because the “hardness of heart” condition blinds our spiritual understanding, making us ignorant of God, His Grace, and His purposes for us in this world. In other words it is an attitude of heart that leads to unbelief. What we sometimes miss in Paul’s exhortation is that he is directing it to baptized Christians with the implication that these Christians, although converted are still living within their un-renewed worldly mindset – that Paul terms the “futility of their minds”. The reason we miss this point is that we modern Christians don’t realize that we are pretty much subject to the same condition, that is, we too are affected by a “hardening of the heart” or “unbelief”, the cure for which involves the “renewing of our minds”. The main reason we miss this point that Paul makes is, because we consider ourselves faithful Christians, supposedly operating in faith, we find it difficult to understand how there could be unbelief in our lives. This failure to understand is, in itself a sign of a certain level of unbelief. You see brethren what we don’t understand is that we, as fallible human beings can harbor both faith and unbelief within us at the same time. The vestiges of our fallen self, although crucified with Christ are still with us, even though we are in the process of transformation into the image of Christ. But we are not there yet and never will we be completely there until we are united with Him in the life to come. These vestiges of the flesh still mould our thinking into the ways of the world and place a veil over our minds when it comes to understanding the Spirit of God and walking in the Spirit. Although we may see our spiritual path clearly in some areas of our lives there are some areas where the old way of thinking still holds sway. For instance, supposing that upon your yearly medical checkup you doctor discovers some shadows in your x-rays and, upon more testing, informs you that you have a variant form, of lymphatic cancer. The first anxious thoughts and fears you encounter within yourself are those of your old nature. Yes, you believe in healing and Jesus’ promises regarding healing, but you find your heart placed in a test between your faith and your anxieties and fears. If you place more value on your anxieties based on what the doctor said than your faith in what the word of God says, then you have entered the realm of “hardening of your heart” and this places a veil over your faith in the promises of God. The more our mind is “renewed” in Christ the less influence the world and our “old man” will have on our thinking and judgments because Jesus and His Word will be the center of our focus in life. When our focus is on Him and His Word our faith will overcome the world just as He overcame the world (John 16:33). After delivering and healing the boy, the disciples asked, “why could we not heal him?” Jesus answered them saying, “Because of your little faith. For truly I tell you, if you have faith the size of a mustard seed, you will say to this mountain, ‘Move from here to there,’ and it will move; and nothing will be impossible for you.” (Matt. 17:20). So clearly, if we are to exercise our spiritual gifts fruitfully, as Jesus tells us from the citation above, we cannot afford to have this veil of unbelief or “hardness of heart” be a hindrance to us. That is why it is so urgent that we cooperate with God’s grace not only in discerning and exercising the gifts that have been allocated to us, but also in continuing to grow in the Spirit through the renewal of our minds, so as to minimize the hindrances that so easily disable us from carrying out God’s purposes for us in this world. Praised be His Holy Name! In conclusion, brothers and sisters in Christ, I urge you to take everything I have relayed to you here, that has touched your heart, and present it sincerely, in prayer, to the Holy Spirit for confirmation and impartation so that you may be fully enabled by Him to enforce the Father’s will here on earth as it is in Heaven! <> Hearing His Voice…. and Obeying it! Today, I want to call your attention to a problem many of us Christians have. That problem is our tendency to stay at a particular level in our spiritual growth because we feel a certain level of comfort there and because moving to the next level challenges our current level of faith. The Holy Spirit is always nudging us to move forward but we resist because moving to the next level always entails giving up more of our selves to the Divine that is in us. Yes, the Spirit is calling out to us, but because of our spiritual inertia we are just not listening, thus, we are not responding as we ought. Sometimes we need to be challenged, intellectually and spiritually, in order to realize our sad state and open our hearts to hear what the Spirit is saying and respond to where He is leading us; and that is what I hope, with the help of the Holy Spirit, this article will accomplish. The Holy Spirit was nudging Nicodemus, a Pharisee, and a member of the Sanhedrin, when he came to Jesus at night to attempt to resolve an inner struggle he was having about who Jesus was. 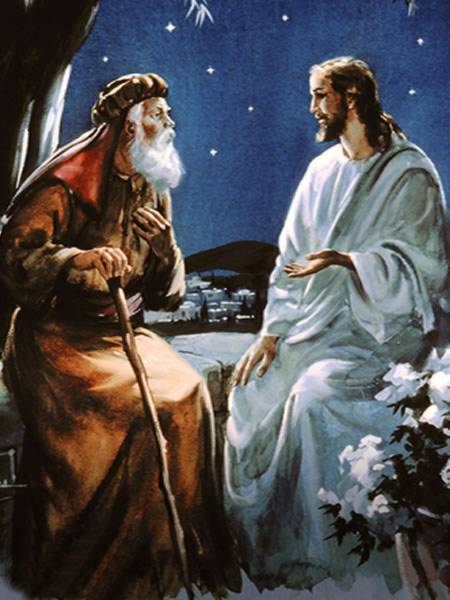 He sought Him out secretly, at night, in order to preserve his status and his perceived dignity (cf., John 3:1-10). After all, he had the equivalent status a Cardinal of the Church would have today, and what would people say if he, a teacher of Israel, sought out an unemployed itinerant carpenter without any religious training for answers to his questions. His first words to Jesus were not just flattery; they truly expressed what was in his heart. When he came before Jesus, he acknowledged that he sensed that Jesus was truly a teacher sent by God, for the miracles He was performing bore witness to the anointing that was on Him. In the Scripture cited here, Jesus makes it very clear – the only reason Nicodemus came to Him is because the Holy Spirit was already working on him, leading Him to come to Jesus. This leading came because Nicodemus “saw” the manifestation of the “Kingdom of God” in the works of power that Jesus was performing. That is why Jesus “answered” him by telling Him that the only reason that he became aware that the works Jesus was performing were of God was because the Holy Spirit had quickened his human spirit to that awareness. That is, he had been revived or reborn from above so that he could “see” what was being done in the spirit plane of existence. With this revived spirit, a glimmer of supernatural faith was also instilled in Nicodemus. At this point, Jesus attempts to explain to Nicodemus that the fact that he had been made aware of the divine source of Jesus’ Ministry is an indication that he was being called by the Holy Spirit to enter into discipleship with Jesus. An affirmative response was being elicited by the Spirit because the Spirit was leading Nicodemus beyond just “knowing'” who Jesus is. He was leading him to this encounter with Jesus so he would have to make a decision accept Jesus and to follow Him as a disciple. Jesus answered, “Very truly, I tell you, no one can enter the kingdom of God without being born of water and Spirit (John 3:5). Following the Spirit’s leading, Jesus further tells Nicodemus what further actions he must take to activate his faith by indicating to him that only those whose spirit has been spiritually regenerated or renewed through repentance/conversion (water baptism) and subsequent empowerment through the impartation of the Holy Spirit (baptism in the Spirit) can function as His disciples and share in His ministry (i.e., enter the ministry of the Kingdom). Now, to those of you who claim to be baptized and confirmed Christians and claim to be disciples of Jesus and thus supposedly “born of the Spirit”, I ask of you the following questions: do you “hear the sound of the Spirit”, as Jesus said to Nicodemus? That is, are you sensitive to the leadings and calling of the Holy Spirit in your lives? And, more importantly, are you obedient to the Spirit by following those leadings? And, If not why not? After all, this is the “litmus” test that Jesus says is the confirmation that you are, indeed “born of the Spirit”. Let me pose to you another scripture from John’s Gospel, taken from Jesus encounter with the Samaritan Woman at the Well (cf., John, chapter 4). And, as before, I ask: How many of you baptized and confirmed Christians can truthfully say that you KNOW, really Know, that you truly have experienced worship in the Spirit and Truth? And if not, why not? Do you really understand what worship “in the spirit” entails? Do you even understand that your being is composed of body, soul and spirit”(cf., 1Thess.5:23)? And that it is in only in your “spirit” that true worship may be offered? And if not, why not? Have you been made aware that it is in your “spirit”, that you sense the Holy Spirit’s call? And that it is in your “spirit” that you, in faith, first respond to that call? And if not, why not? The reality, my brothers and sisters, is that there are many professing Christians who cannot answer these “why nots”, and, sadly I once was one of those. And like those I also did not have any answers as to those “why nots?”. I, like the rest of you, gave my full intellectual assent to all of the basic doctrines of our Christian faith and basically rested on this intellectual assent as being my “faith” and that, even though I did not sense the explicit leadings of the Spirit, I thought it must be so and I assumed that I was just unaware of His leadings or of true worship because I had given my intellectual assent to the doctrines I had been taught, and, after all faith has to be taken without signs or experience or it is not faith. First of all, let me address the matter of faith. True FAITH believes God’s word, His promises, and the Spirit’s leadings. This type of faith is a spiritual gift from God it is not merely an intellectual belief in a doctrine or theology – it involves an inner spiritual knowing that God is faithful to His Word or promises for a specific instance in your life. Nicodemus approached Jesus through this type of faith – NOT a faith based on the doctrines of his religion. This faith was stirred up in him through the Holy Spirit, and that was what he was acting on. Now, His acting on faith brought results – He experienced the Truth about Jesus because he came to Jesus to “ask”. And, through his “asking” Jesus opened a door to experience another level of true spirituality. Because he asked, his doubts had been cleared up and his faith strengthened. Thus, Faith, true faith, brings tangible results or experiences, sometimes in the physical plane, sometimes in the spiritual plane, or both! Yes, it is true that when you step out in faith you may not experience anything. In fact, true faith cannot be based on what you experience or observe. It must be totally based on trusting God and acting on what He tells you either personally or through his Word, because faith, true faith, comes by hearing and hearing from the Word of God (Rom.10:17). But true faith, must be acted upon, in order to produce results (James 2:17) – sometimes immediate and some times delayed. But you will see results, if it is true faith. These results may be spiritual or they may be physically observable or they may be both! Secondly, Jesus explained a great truth to Nicodemus. Mainly, that only the Holy Spirit can revive us spiritually (John 3:6) to come to the awareness of who Jesus really is and, only if you act on that initial awareness, in faith, and accept Him as your Savior and Lord can you share the full empowerment of the Spirit, that is, in His ministry here on earth! Thus, when we yield to the Holy Spirit, it is through the Spirit’s impartation in our spirits that we act on that leading by being baptized (by water) into Christ (Rom.6:3, Gal 3:27) and, it is through the Spirit of Jesus in us that we are baptized in the Holy Spirit. For He is the one who baptizes in the Spirit (John1:33, Matt.3:11, Mark 1:8, Luke 3:16, Acts 1:5). Once we understand that true faith is more than just intellectual assent and that it is the Holy Spirit working in us to draw us to Jesus, then we have an answer to one of the “why nots” and then, by the grace of God, we may proceed to another of the “why nots”, namely, even if we have come to a “true faith”, if we do not act on what we believe, our faith will be of no consequence (cf.,James 2:17). For instance, say that, through prayer and the reading of the appropriate scriptures (cf., Acts 2:1-40) you now believe, in faith, that the nine spiritual gifts given at Pentecost (cf.,1Cor.12:1-11) are truly available for today’s believers through the baptism in the Holy Spirit. But, because you are not sure, for whatever reason, that you want them for yourself, you postpone taking any action to receive the Baptism in the Holy Spirit, thus, you and the community, will not be able to benefit from these gifts because you have not activated your faith to receive them even though you are baptized and confirmed and as heirs of Christ have legal access to those gifts. So, it is brethren, that we cannot just passively take faith for granted, it must be acted on in order to be activated. Our problem is that we have not adequately learned how to activate our faith so that our faith produces fruit. Sadly enough, much of this is due to our lack of biblical literacy. The New Testament is especially rich in content on the matter of activating faith – however, unless it is explicitly brought out by good teaching materials most of us tend to miss this important information. Yes, the sacraments will work around us and though our circumstances but NOT in us and through us unless we will it. For you see, the Holy Spirit respects our individual freedom such that He will not impose Himself on our most intimate self. He needs our fully understood and unequivocal total concurrence in order for Him to truly be our “helper” and our “counselor”. He needs our “YES”; a YES that is given in the clear understanding that we are giving our “self” to Him. Without such an informed unequivocal YES the Holy Spirit is limited in what he can accomplish in us and through us. When presented with this as the model for our “YES” how can we not likewise yield to the Holy Spirit and accept Him and the spiritual gifts He offers so that we can be the instruments of His Love in this world? Why don’t we realize that we quench the Spirit by accepting only that which we can control and use for our own purposes and hold back in giving of ourselves? 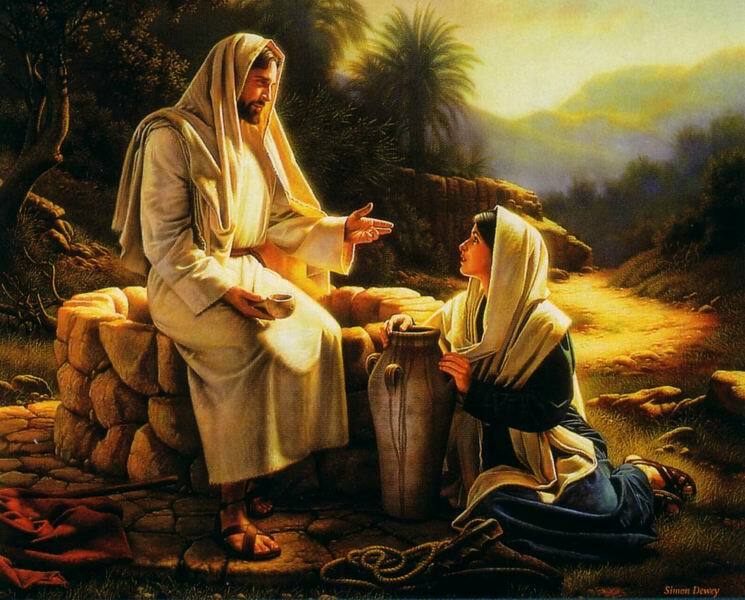 Why is it so hard then, when the Holy Spirit offers us the opportunity to be baptized in the Spirit, so that the Life and Spirit of Jesus may be manifested in us and through us, for us to sincerely and unequivocally say: “Here am I, the servant of the Lord; let it be with me according to your word”? . My dear brothers and sisters in Christ, I believe it is time to stop playing meaningless mind games with ourselves and let the Holy Spirit help you to confront the truth – that the reason we resist the Holy Spirit Baptism is because our human pride resists yielding our “selves” to the Holy Spirit. So lets get right with God, and, like Nicodemus, seek out Jesus in prayer, and ASK Him to confirm what I have just said, lead you to where you may be baptized in the Spirit, and so release yourself to your full and true sharing in His Ministry, the Ministry of the Kingdom! May it be so in His Mighty Name we pray! Amen and Amen! Note: for more about water and spirit baptisms see also, [a] Acts 10:34-48, where Peter preaches to Cornelius’ household who are baptized in the Holy Spirit as Peter speaks and then baptized in water to complete the two baptisms, [b] Acts 19:1-6, where Paul baptizes some new converts in the Name of Jesus and then baptizes them in the Holy Spirit through the laying on of hands. 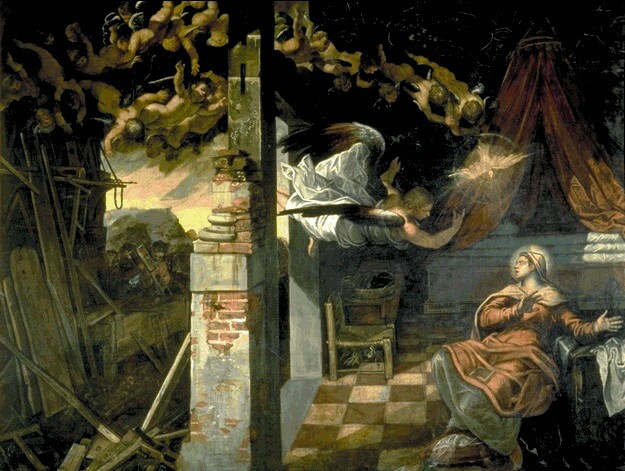 In a sense, don’t all who come to Christ experience an “annunciation” of sorts when, at our conversion, the Spirit calls for us to receive the Spirit of Messiah into the innermost “womb” of our hearts? From the above scriptures it is clear that the spiritual empowerment gifts are certainly Jesus’ legacy for all believing Christians. In this article, I intend to briefly discuss them and their practice within the Christian community. However, before entering into a discussion of these gifts, let me first confront the first intellectual obstacle we all face when we first attempt to come to an understanding of these spiritual gifts. This obstacle is the term “empowerment” itself. This term is generally avoided in most discussions about these gifts. The reason for this is that the term is so theologically tinged that the more politically neutral term, “charisms” is more frequently used. The term is provocative because it appears to encroach on what is customarily (though incorrectly) thought to be the domain of the ordained clergy exclusively. This cultural conditioning usually presents a barrier for the average Christian because it hold us back from even thinking that we, the laity, are included in the “Promise of the Father”. My previous posting was intended, of course, to disabuse us of that concept. The book of Acts make it very clear that the “Promise of the Father” is for all who believe (Acts 2:38-39) and the Apostle Paul also makes it clear that the responsibility of the ordained or appointed ministries (ie., clergy) is to train, not restrain, the laity in the Empowerment Gifts of the Spirit for the building up of the Body of Christ here on Earth (Eph.4: 11-13). All the pertinent scriptures indicate that this empowerment is distributed amongst all of the believers as the “Spirit wills” and NOT as man wills. An example of how the Spirit empowers common, everyday believers to accomplish His work amongst us, is the case of Ananias of Damascus (Acts 9:10-18). He was an ordinary lay member of the church at Damascus around the time when Saul of Tarsus was raiding these congregations to bring the Jewish believers in Messiah to judgment in Jerusalem. When the Lord stopped Saul in his tracks as he was on his way to Damascus, He rebuked Saul, asking him, “Why are you persecuting me?”. After the encounter with the Lord, Saul, who was blinded during his confrontation with the Lord, was taken to a certain house in Damascus. The Holy Spirit, working through the Empowerment Gifts in Ananias told him to go to this certain house and to prophesy to Saul, to lay hands on him for healing and to baptize him thus bringing to conclusion Saul’s conversion. A conversion through which the Lord used Saul, who later took the name of “Paul”, to reach the greater part of the gentile world and whom He used to write a significant part of the contents of the New testament. In the same way that the Lord used Ananias, brethren, the Lord is calling all of us lay persons to put aside our culturally inspired qualms, yield ourselves to the Holy Spirit and accept the empowerment gifts He has destined for us. In this way we open ourselves to be led by the Spirit as was Ananias, so that we also, through the power of the Spirit can participate in the work of God’s salvation on this Earth. Now, it must also be made clear that these gifts are NOT for personal exaltation or sanctification but are meant for the service to the community. Just as Jesus said: “I have come not to be served but to serve”(Matt. 2:28), so we who accept these gifts are called to die to ourselves so that Christ may serve the community through us. That is why St. Paul (the converted Saul), placed the LOVE chapter (Chapter 13) in the midst of his teaching on the spiritual gifts in his first letter to the Corinthians. The problem that Paul had with the Corinthian community, and which we have today, is that while they accepted the gifts with enthusiasm (perhaps excessively so), they lacked the spiritual maturity to administer the gifts with love, humility and order. Thus it behooves the leaders of our communities to not only foster and nurture the charisms, but to provide the spiritual guidance, teaching and leadership needed to ensure that the gifts are properly administered in Jesus’ Name under the leading of the Spirit and NOT in response our own whims and fancies. Without further ado then, let us begin our discussion on the Empowerment Gifts of the Spirit. While the Holy Spirit blends and combines these gifts as He wills, creating a great variety of manifestations, it is best to begin by considering the nine basic or foundational gifts or charisms that are summarized by Paul in 1 Corinthians Chapter Twelve. These are the basic gifts that form the foundation or structure for the blended gifts and the ministry gifts that we will consider later. What we need to remember as we go over these gifts is that these are Jesus’ gifts, NOT ours. These gifts are the same gifts that Jesus received at His anointing and which He practiced during His ministry, only now they have been distributed by the Holy Spirit amongst the members of His Body so that He may continue to minister through us today. In fact, the best way we can observe and study the operation of these gifts in Jesus’ ministry is through the reading of the Gospels. The revelation gifts are those manifestations of the Spirit whereby the Holy Spirit infuses a supernatural wisdom, knowledge or discernment to a ministering believer regarding a specific situation where the believer is being led to or is in the process of ministering to another. For instance if one is in the process of ministering healing to a petitioner, the Holy Spirit may, through a word of knowledge, sometimes reveal the existence of a spiritual obstacle to the healing. That obstacle may be a hidden sin, an evil spiritual influence, or an inordinate attachment. Based on the revelation provided the minister may also receive a word of wisdom regarding how best to use the revealed knowledge to pray for the subject requesting healing. The revelations may also involve promptings from the Holy Spirit regarding the needs of specific individuals in a prayer meeting or in a person’s normal day-to-day activities leading the individual to attend to a personal situation only the Holy Spirit would know about. It is then the responsibility of the individual so inspired to act in obedience and faith on what he/she has received and thus effectuate the blessing the Lord has for the person under ministry. For instance, in the discernment of spirits, the ministering believer is given a revelation of demonic forces affecting a person or persons in a specific situation or circumstances. This spiritual insight will usually be accompanied by a word of knowledge or word of wisdom guiding the minister in what action to take in order to dislodge the spiritual oppression from the individual being prayed for. These gifts are often blended with other gifts such as healing, miracles and prophesy in order for the overall manifestation of the Spirit to have its full effect. The gifts of wisdom and knowledge manifested here must be distinguished from the sanctifying gifts of the same name. The sanctifying gifts of wisdom and knowledge are also supernatural gifts but these deal with providing knowledge and wisdom into the very mind and heart of God leading to an enhancement of our personal relationship with Him as the Holy Spirit conforms us to the image of the Son. ~ The Gift of Faith: This gift is distinguished from the other “Gift of Faith” through which we receive salvation through the Word in that the latter Gift is part of the Sanctifying Graces that bring or own person to salvation and sanctification, while the former Gift of Faith, which is under discussion here, is similar to the Word of Knowledge Gift, in that it is a specific faith, for a specific circumstance, given to us so that we may be a channel of God’s grace, like healing or miracles, to benefit another person rather than ourselves. For this reason this Gift is almost always used in conjunction with another of the Power Gifts. This gift is essentially a revelation in one’s spirit of a work of power that God intends to do – it is this knowing of God’s specific will for a particular circumstance to happen that triggers a certainty in our spirit that if we act on this inspiration it will come to pass. It is this type of faith that the apostle Paul refers to as the faith that moves mountains (1Cor. 13:2). ~ The Gift of Healing: This gift is that gift we also see exhibited in the Gospels where Jesus heals individuals from all manners of disease, sometimes by laying on of hands, sometimes by merely touching someone, and sometimes by, or through, an authoritative command for the illness to leave. ~ The Working of Miracles: This gift has various manifestations. It sometimes involves walking on water, multiplying loaves and fishes, and raising people from the dead. In our modern world the manifestation of this gift we see the most is that of “creative miracles”, that is, when an arm or a leg is created where only a stump existed, or where people born with deformities or missing eye sockets are immediately healed. Again here, this gift is usually triggered and blended with another gift such as a word of knowledge or the gift of faith. These gifts are mainly provided the Body of Christ to permit the Persons of the Trinity to communicate with the Christian community for the purpose of: exhortation, consolation, teaching, spiritual guidance, discipline, and expressing God’s love and delight for His people. There are instances where actual foretelling of coming situations occurs but, unlike the Old Testament prophetic utterances, the New Testament gift is mainly used for forth-telling to build up the church rather than foretelling. 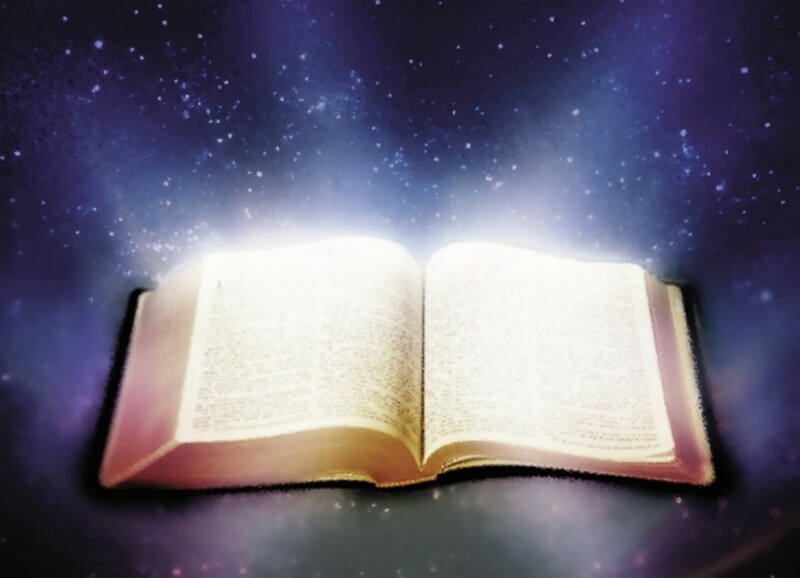 The inspirational gifts of Prophesy, Tongues, and Interpretation of Tongues are the spiritual gifts through which the Lord communicates with His people or to a particular person to bring about a spiritual change in that individual or individuals for the enhancement of their faith and spiritual growth of the community. That is why the the gift of Prophecy is manifested in the language of the congregation so that it is a direct message to them that will move their spirits to a state that will allow them to act in faith for the benefit of the community. The gift of Tongues is a prophetic utterance in an unknown language (1Cor.13:1) and as a result requires someone in the congregation to have the complementary gift of Interpretation of Tongues so that the congregation may comprehend the message. All of the above manifestations of the gifts are intended for the Godhead to communicate with His people. However, the gift of Tongues also accommodates its use as a personal prayer language where individuals may pray, praise, and sing to the creator directly from their spirits, thus bypassing their minds (souls). See a previous post on “Praying in the Spirit”. In such a situation it is man speaking to God (1 Cor.14:2) rather than God to man. In order for the Empowerment Gifts to achieve the purpose for which the Lord intended there are, of necessity certain other overarching gifts that are also provided to impart, nurture, coordinate and guide the practice and use of the charisms within the community. The Apostle Paul lists the five most important of these gifts in his letter to the Ephesians. These are sometimes termed as the “Five-fold Ministry gifts”. From this we conclude that the Holy Spirit, through Paul, not only imparted the empowerment gifts upon confirmation to the community in general but also appointed (ie., ordained) leaders whom the Spirit had endowed with very strong specific anointing in certain areas of ministry. These included Apostles (used as a general term which included evangelists), Prophets, Teachers, Ministers of Deeds of Power (Miracles, Faith and Healing), Coordinators of the gifts in ministry and assistance to the community (this was a leadership gift), and Interpreters for the meetings. These Leadership gifts were an absolute necessity if the community was to grow not only in numbers but in spiritual maturity so that they, with the gifts that were allocated to them by the Spirit would be effective instruments in ministering to one–another and to the outside world. They were also necessary to bring order and submission in agape Love to each other so that they could act in unison as a community. Chapter 13, in the first letter to the Corinthians, is very specific about the role that self-denying, agape Love is to play in the community and the subordinate role of the spiritual gifts to this type of love. Chapter 14 provides more explicit teaching an guidance from Paul on the practice and use of the spiritual gifts within the community. “There are different kinds of gifts, but the same Spirit. It is interesting to note how Paul, under sacred inspiration, attributes the roles of the Holy Trinity to the Charismatic Gifts. First, he tells us that the diversity and distribution of the gifts is the work of the Holy Spirit. That is, the types and kinds of Gifts available to the church are His responsibility. 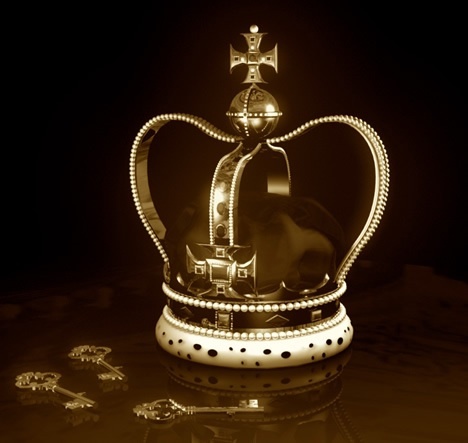 Then he indicates that the administration (or ministry) of the Gifts is under the Lordship of Jesus. That is, since the Gifts are a continuation Jesus’ ministry He is the one who establishes specific ministries using the Gifts under His Lordship. Thirdly Paul indicates that the power behind all the workings of the Gifts stems from the Father Himself!